Go beyond a stop in at the local florist for a Mother’s Day bouquet, and create one with true meaning for the mom in your life. Many of the flowers available at your local florist have meaning – you simply have to choose the flowers that say what you have been meaning to say to mom for years. Not all moms like fresh flowers. The sentiment is beautiful at first, but the flowers die and take the beauty with them. Before choosing the perfect flowers for your meaningful bouquet, decide whether you want to choose fresh flowers or artificial ones. Fresh flowers smell fantastic, but they have a short life and require you to create the bouquet in one day. Artificial flowers can look less realistic, but they will never die so you can take your time choosing the right ones. If scent is an issue, try filling a vase with potpourri instead of water so the bouquet still smells fantastic. These are just a few of the best choices for Mother’s Day flowers, but feel free to do a little research and come up with a personalized combination of messages for the mothers in your life. Mom will have no idea why you have chosen the specific flowers in the bouquet, so add small cards with the name of each flower and the meaning of that flower with the vase. Remember to add multiples of each flower to create a full, beautiful bouquet. 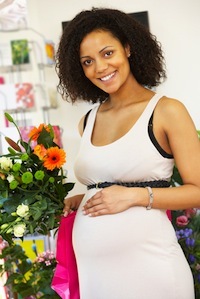 Visit a local craft shop for information about floral arrangements. Some shops even hold free classes teaching the basics. Mother’s Day is all about telling mothers how you feel, but that does not mean you have to head off to the card store for words written by a poet. Take a little time and choose a bouquet of flowers that express the exact feelings you want to convey; create a personalized bouquet and remind her that she is worth the extra time.